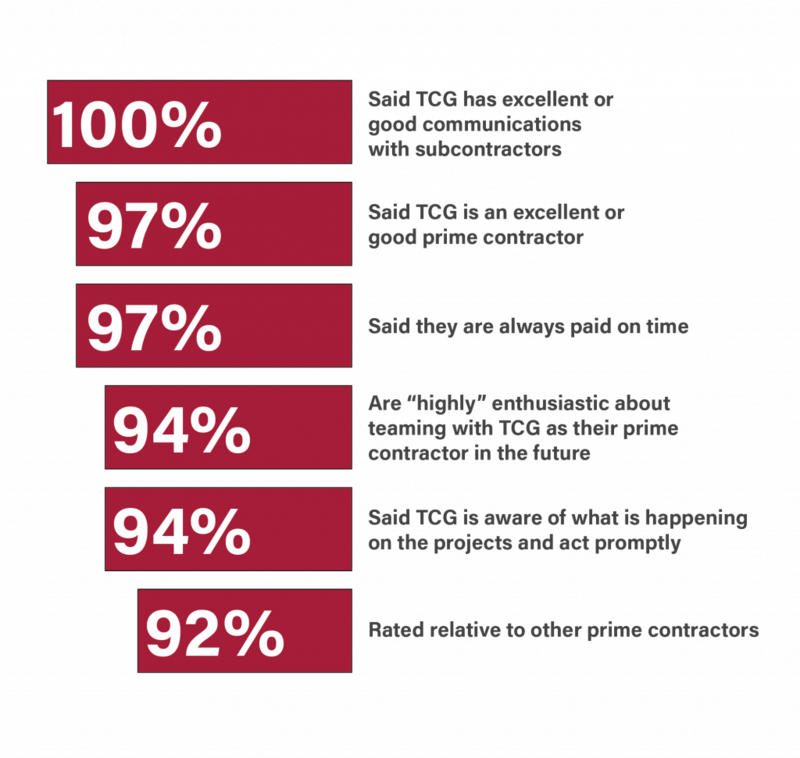 Results of TCG’s 8th annual subcontractor survey show that TCG continues to prove its value to its partners by maintaining strong and effective relationships. Every year, TCG asks its subcontractors to rate the company on corporate performance, management of contracts, effectiveness of communications, administrative prowess, and other factors. The goal of the survey is to provide insight into how the company can improve its relationships with suppliers and service to customers. 94% are “highly” enthusiastic about teaming with TCG as their prime contractor in the future. The survey was conducted in April-May 2017. A key opportunity for improvement identified by our partners this year is to schedule more face-to-face information sharing sessions to identify other opportunities on which to team. This and other suggestions are currently under consideration by the TCG Executive Management Team. With a commitment to further enhance partner management activities, TCG recently appointed Julie Dann to the new role of Partner Relationship Manager. We appreciate the time that our partners took to complete our annual survey!